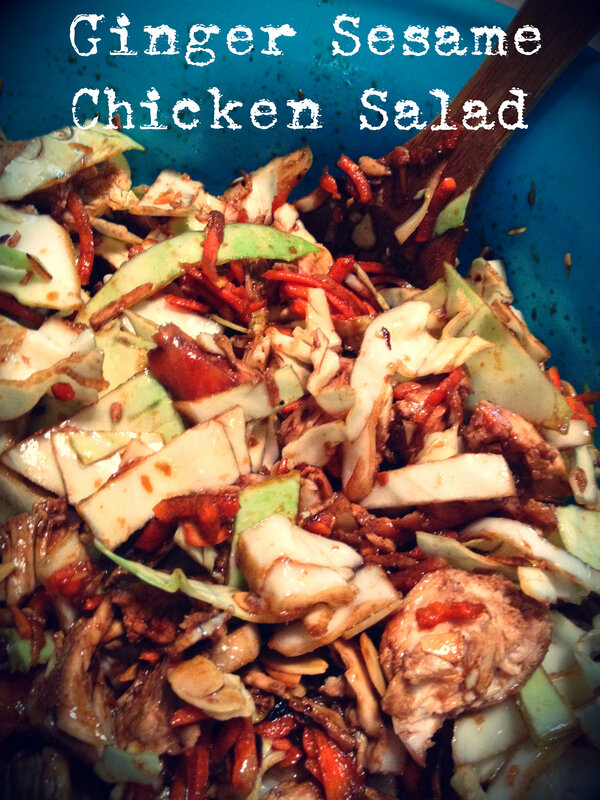 Ginger Sesame Chicken Salad | eat. drink. be merie. Get that chicken cooked! I used 2 chicken breasts with the bone in. 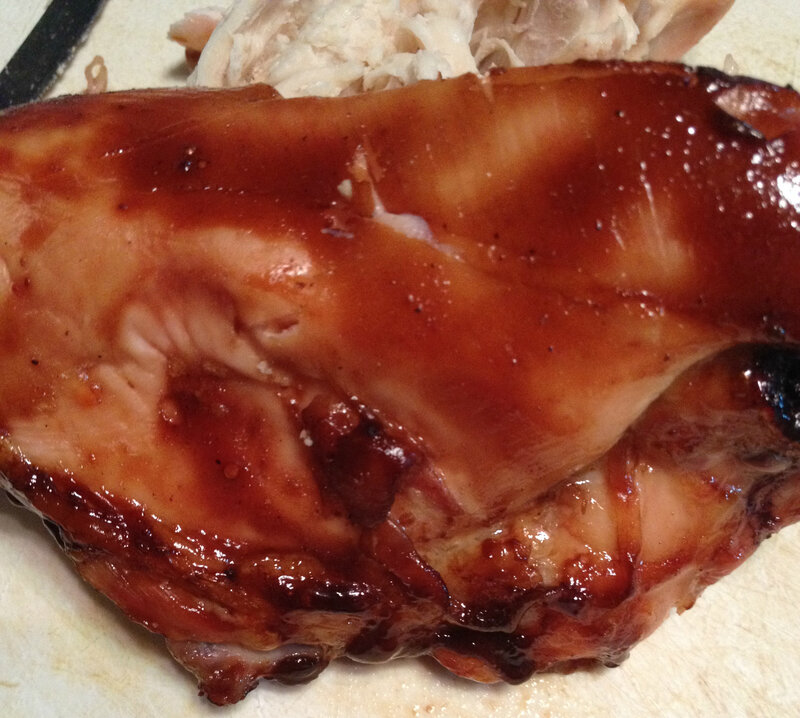 Once marinated, I popped it in the oven at 350 degrees for about 40 minutes. Once it had cooled, I cut it into (bite-able) pieces. You could also grill your chicken, or try cutting it into pieces before you cook it and then pan fry it. As your chicken is cooking, you can work on the next steps. 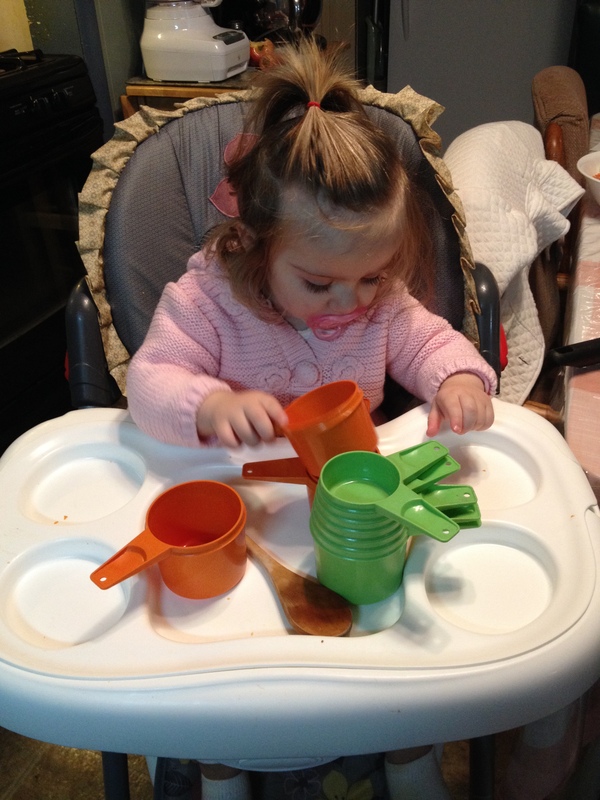 It is also a good time to put your toddler in her highchair for snack time while she helps you measure ingredients. 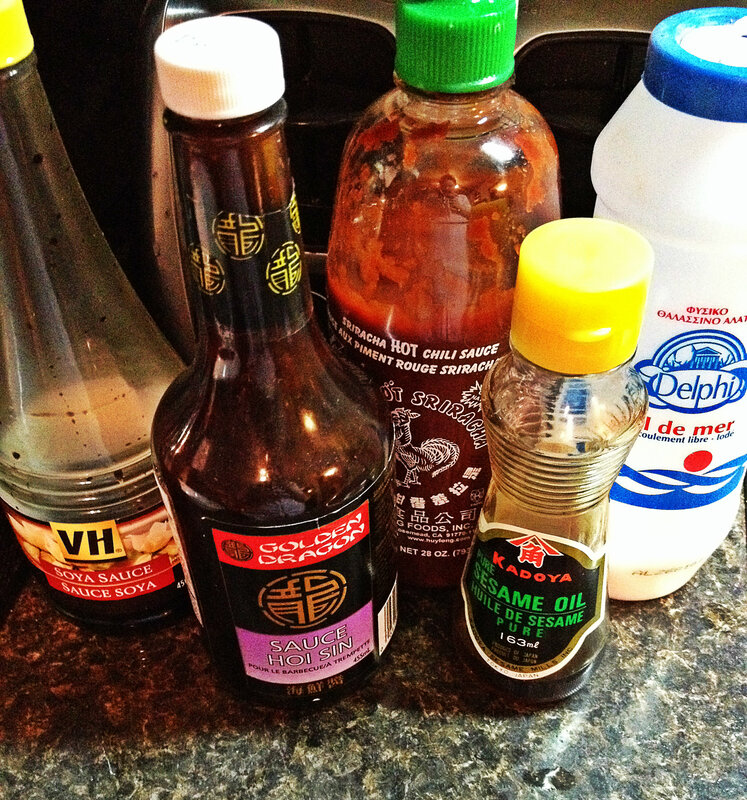 Now is the time to mix together all the ingredients for the dressing, and set aside. 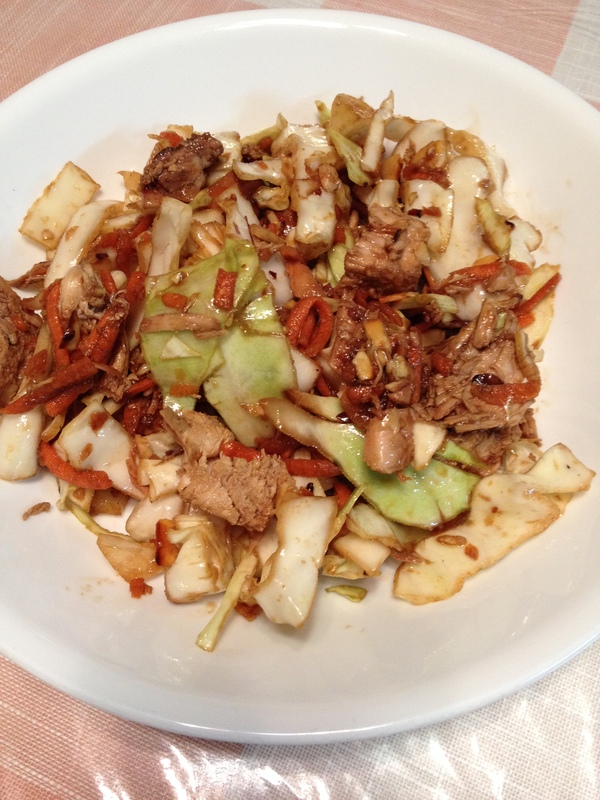 Chop up that cabbage! Slice those scallions! Shred that carrot! Toast your almonds. I dry toasted mine on a small frying pan on medium heat. 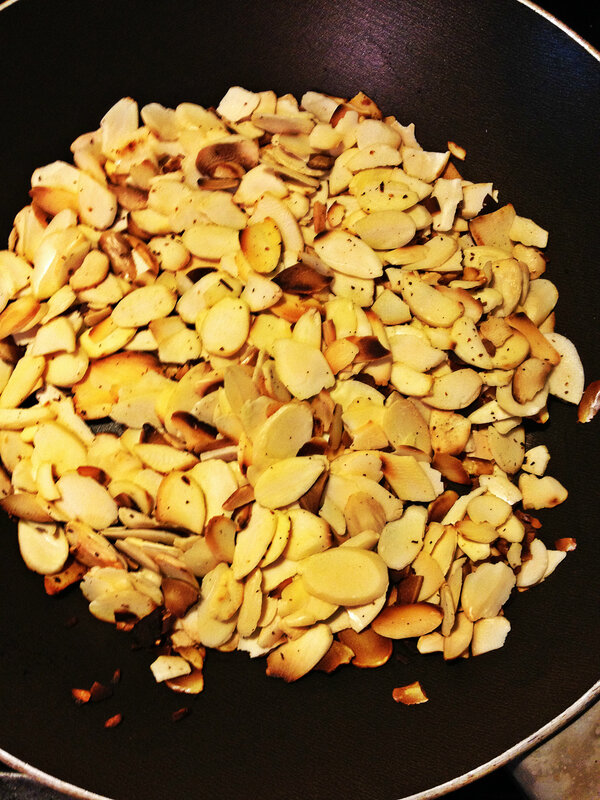 They were very thin sliced almonds and only took about 4 minute to get nice and toasted. We ended up having to make more than 1/2 a cup because Elle and I ended up incorporating them into snack time! Mix together all the salad ingredients, including the chicken, into a large bowl. 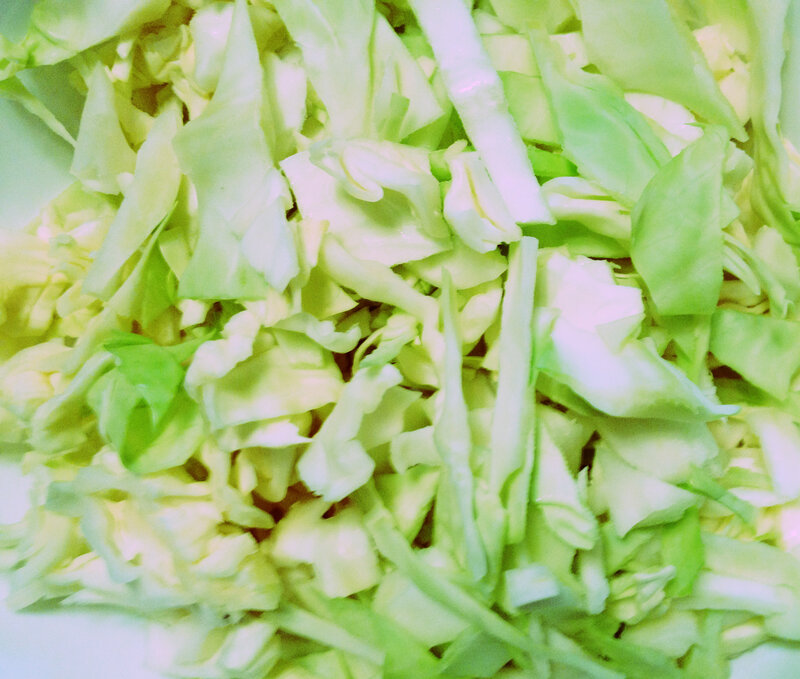 (Those cabbages are quite compact and seem to really expand when chopped up!) Drizzle your sauce over the salad and mix together until all ingredients are coated. Grab a fork and dig in! Hope you all enjoy! I know I did…I may have had it for lunch 3 days in a row. 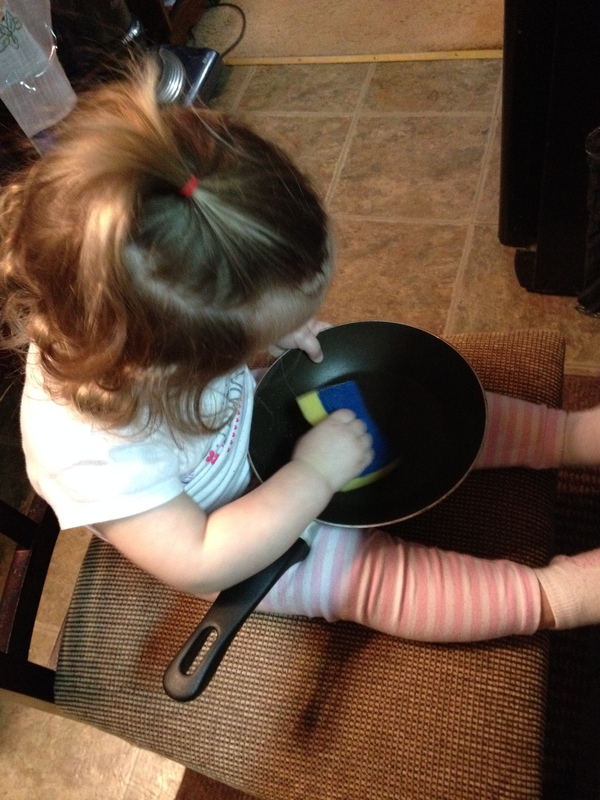 You might even be lucky enough to have some little hands help clean the dishes when you’re done! I’d love to know if you have any comments, questions, or suggestions! I think we’ll have to give this a try soon!